Order in the next 3 hours 9 minutes and your package will ship on Friday, April 19. A touch of pear adds elegance to your ring stack so easily. 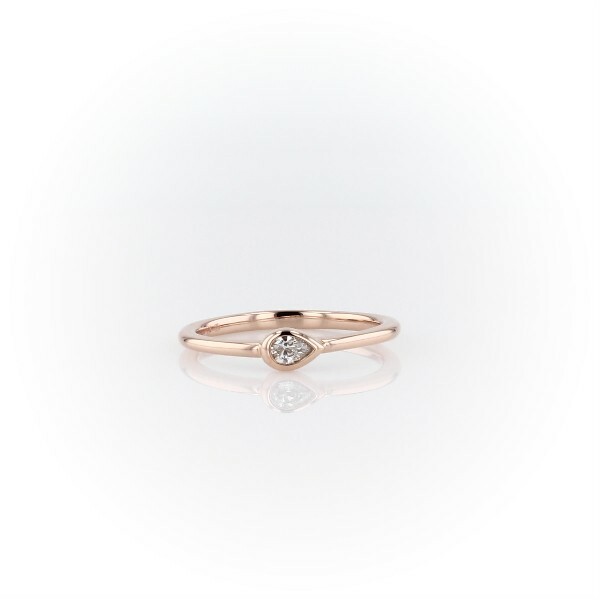 This mini pear-shaped diamond is bezel-set in a slim band of warm and approachable 14k rose gold. Due to this ring's delicate nature, we do not recommend for daily wear and are unable to resize or repair.